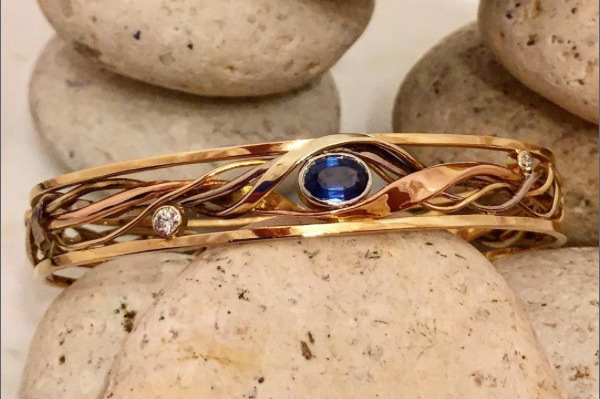 Vine and trellis bangle bracelet of rose, white, yellow and green golds, with sapphire and diamonds. Nature inspired, flowing design. $7285.